Should You Live on a Golf Course? 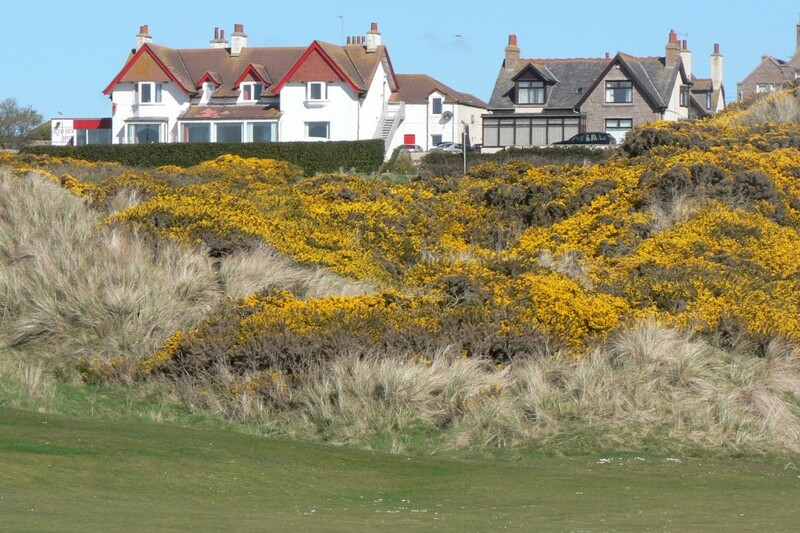 Houses overlooking the second fairway, Cruden Bay Golf Club, Scotland, May, 2008. To live on a golf course is not a universal aspiration. At a club where I sometimes play, a dozen houses back up to various fairways. Over the years, the owners of those houses have taken pains to obliterate their views of the course. They’ve built fences, planted bushes and trees, and hung No Trespassing signs. One scary old guy patrols the boundary of his yard the way East German soldiers once patrolled the Berlin Wall. Follow a bad drive into his garden and he unchains his dog. It’s not that the course is ugly or the golfers rude. It’s just that to some people a fairway is no more attractive than a freeway. Golf, to them, is a public nuisance. (You can’t sunbathe in your underpants when local slicers treat your patio as a cart path.) Some people live next to golf courses because they figure they can’t afford to live someplace nice. Howard indicating the house I'm going to buy as soon as this blog has made me rich. Royal Portrush Golf Club, Northern Ireland, April, 2012. Sixteenth hole, Cypress Point Club, Pebble Beach, California. I wouldn’t care if a stray shot shattered my front window every once in a while. Heck, I wouldn’t care if you and your foursome cut through my kitchen on your way to the seventeenth tee. Help yourselves to beer! I’d just like to be able to step out my back door and tee it up whenever I wanted to. I'd also be happy with any of these. 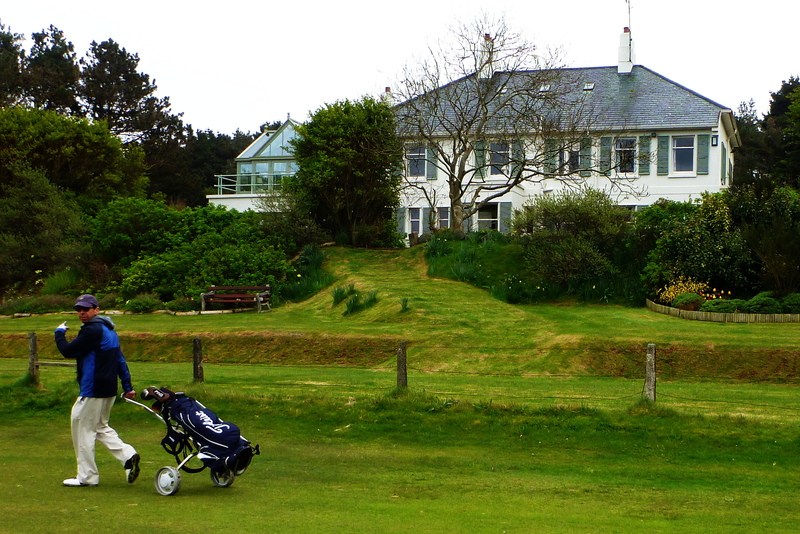 North Berwick Golf Club, Scotland, April, 2008. Next: Would you be willing to spend a few hundred dollars for a building lot at Augusta National? You (or your parents or grandparents) could have, but didn’t. This entry was posted in Golf Courses, Ireland, Scotland and tagged Cruden Bay, Cypress Point, North Berwick, Royal Portrush by David Owen. Bookmark the permalink.